The New Horizons Service Dogs, Inc. Prison Pup Program is proving to be a very successful collaboration with the State of Florida Department of Corrections. 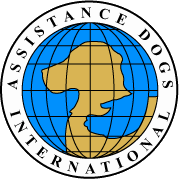 Our pilot program commenced in July 2009 with the arrival of the first four puppies at the Sago Palm Work Camp in Pahokee, FL. Prison officials were so impressed with the results that they requested a second program start-up at the South Florida Reception Center in Miami that began in March 2010. After that two more programs were set up in 2013, one at Moore Haven Correctional Facility in Moore Haven, FL and the other at Homestead Correctional Institution in Florida City, Florida, which is our first female facility. Typically, pups are placed with puppy raisers for 4 to 6 months of socialization and basic obedience training before being sent to their assigned prison facilities. Once there, the inmates begin training them, providing intermediate training and advanced training skills until the dogs are transferred out either to our special-skills trainers for additional skill acquisition and eventual placement with a person who is disabled, or to private families for additional social-skills training. The Prison Pup Program has dual beneficiaries: individuals with disabilities and the inmates. Once placed, the service dog will increase our client’s self-sufficiency and independence by opening doors, pulling wheelchairs, retrieving dropped items and improving the overall quality of life for him or her. For the inmates, the skills that they acquire during this process will improve their chances of success once they are released from prison and re-enter the outside community. Improved self-esteem, confidence, interpersonal skills and life skills will help to deter their return to the prison system.